This will be from the beginning and set in the world of dragon ball z so yes there is capsule corp.
plan will be that some people will be descendants of Saiyans but their blood is dilute no half saiyan or super saiyan. 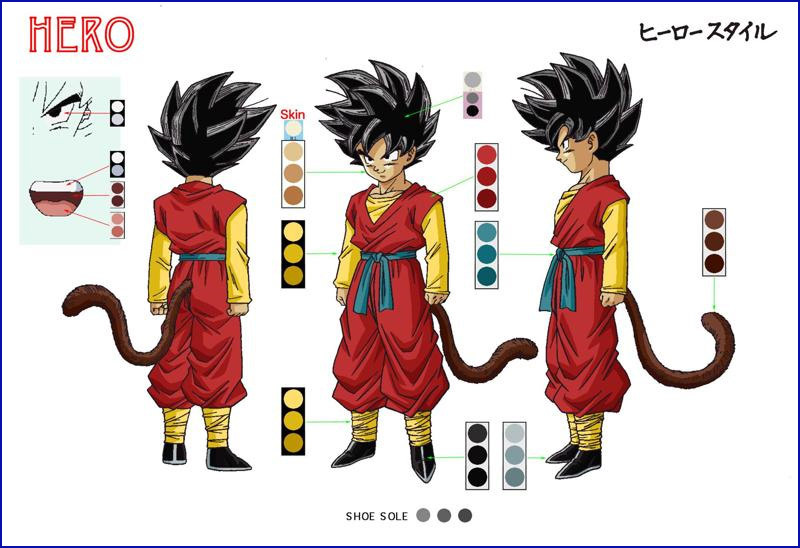 I have a different twist planned for saiyan descendants like few are born with tails but anyway saiyans will arrive and notice their strongest descendants later on causing conflict. The dragon balls will be part of this as only special people have them to gain the right to take someone's dragon ball you must find and defeat them which is not an easy task as someone wished only those capable of protecting the dragon balls can guard them if the person dies the person who defeated them can take it... if they die of natural causes the dragon ball can be taken by anyone. so you can assume people are greedy and anyone with a dragon ball is usually a target. I am older no ten year old fighter that beats everyone up like kid goku... age 16 or older. Origin - Echo is an orphan child who since young had trouble getting along with others. The orphanage was in the big city but a traveling martial artist by the name of Cyrus had adopted him seeing a strong aura in the boy. He was right at a young age Echo showed great strength... although Cyrus was a master martial artist he taught Echo how to defend himself and Echo greatly appreciated it. At the age of 14 Cyrus told Echo to become strong and then come find him... for reasons unknown. He made Echo give his word and the boy did... now he travels to find Cyrus. 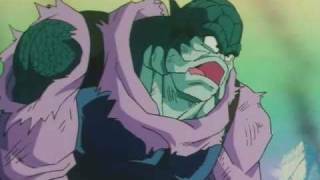 [mysterious figure]"you ugly green insect... not all the Saiyans were killed we will bring out planet back to glory and find a way to restore our race... this planet couldn't handle me alone...now die." he responded as he fired a ball of ki energy erasing the sluglike alien completely. The figure looked around... until his scouter began blinking "Zorn is the planet eradicated ..."
[Zorn]"Yes pitiful bugs not one of them had a decent power level....we can scavenge this planets small resources ...and then move on to another planet... out of his territory." he replied. Echo was relaxing by a lake alone... as a bird flew by it relieved itself coincidentally hitting him on the forehead causing him to jump up..."AHHHHH.... whats the big deal....ewww.... (he looks up and see's some birds)...im going to pluck all your feathers offff!!!" he says as he runs up a tree... and the bird was actually laughing at him until Echo made it to the edge of the tree and kicked off gaining such altitude it is almost as if he flew..... the shock on the birds face eyes bulged as it flew faster causing Echo to miss his attempt to grab it and he fell in the lake. The bird showed a sigh of relief....and flew off. Echo came up for air..."Well at least im clean now... time to move... but i am a little hungry...but no more food capsules...ugh" he says floating in the water as his stomach rumbles so hard it caused ripples. Echo went to get out ... but a tentacle whipped out the water and wrapped around his arm.. and a squid like creature arose which was quite large and wrapped more tentacles around Echo .. and it revealed a set of teeth and grinned...."SO...im not the only one who is hungry." he says as he takes a step forward but more tentacles wrap him up as the squid tried to pull him in but oddly that this boy was more powerful than it. Step after after step the squid tightened its grip but still Echo pulled it out the water and ripped its tentacle off causing it to scream and let go.... the squid sunk back in the water and Echo waved..."Thanks for the snack." he says as he starts a fire and cooks the tentacle. With his stomach settled for the moment...Echo pulled out a capsule with a hover bike in it. He pulled out a flyer for a fighting tournament in greenwood City which was at least 3 days away... unfortunately Echo had a horrible sense of direction. "If i can find any clues as to where he is... a tournament is the best place to start." he thinks as he types greenwood in the hover bike... and it takes off as Echo gives the bike a head start... and then bolts out after it following its path to Greenwood city. Personality- Energetic, loves to test his strength, wants to live life to the fullest. Family- he never met his father, but his mother said he was a mysterious man who she fell in love with, and he disappeared a year after Kori was born. 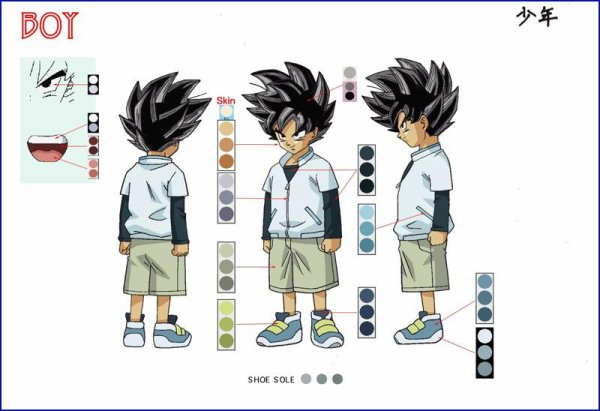 Origin - Kori is the son of a Saiyen who fell in love with a human woman, he and his mother have lived in a small villiage that was not effected by the Saiyen take over, and many of the inhabitents where unaware they even existed. Kori was born with a tail, but he has since learned to hide it. guardian: his father was Guardian of the 3 star ball, but he left it with Koris mother when he left for Planet Vageta. now Kori is the Guardian. A girl with long blonde hair and gothic clothing was looking at her GPS device that was on her hover bike, while tinkering with a device. She was fidgeting with it and putting a couple screws in place. "Come on work ..." she says as the machine turns on but nothing happens. She sighs ..."I need a dragon ball, what use is a radar if it doesn't know what kind of energy its looking for... but i'll be the first person to bring together the fabled dragon balls, and if the legend is correct i'll get a wish. Ohhh i can't wait and with that wish will come fame and fortune and BOYS!!!" she says as she daydreams with hearts in her eyes as she comes to a screeching halt as there was a large group of men before her. She just got out of the wooded area now was only grassland.... but the men looked at her. She got off of her hover bike and smiled.... the men were grinning. "Umm hello kind gentlemen... im sorry i almost hit you guys with my bike... umm could you please clear a path so that I could pass my bike is not a model that can fly up at a great height as of yet." she says. The look on the girls face was one of fear and uncertainty... as she backed up to her bike... the men came closer. One put a hand on her shoulder and her eyes narrowed and her hair became a fist and punched him sending him backwards with a bloody nose, shocking the other men. 'what the that chicks hair can move... ..that was a nice trick girlie but your going to give us that bike i don't think that pretty hair can stop all of us" one says. Meanwhile in the forest Echo was chasing the bike as part of his speed training until the bike passes over a large branch that actually get inside the engine causing the bike to fly around going haywire. Echo see's this and decides he has to stop the bike before it explodes into a tree but its moving so erradically he can't get a beat on it Echo - "No no no... come on." he says as the bike suddenly burst forward in speed and left the wooded area... Echo chased after it. The girl was afraid until a bike came flying through the air and crashed into her bike knocking it into a large rock causing the first bike to come to a halt for a moment until it started up again and crashed into the bikes of the henchmen and exploded destroying at least two of their bikes. The girl looked shocked as her jaw dropped. Echo came down from the sky with a backpack on his back... he looked at the scene and smiled as he began to scratch his head. Echo- "Oh man... i didn't make it in time... was that your bike...ms. I am sorry, i can't pay for it but i'll help fix it if i can" he says. The girl grabs Echo..."You dolt that bike was my only collateral to get out of here safe... now these thugs are going to kill us" she says turning Echo to the direction of the thugs who were flexing their fists but Echo didn't seem worried. A man cam up to him... "Look here kid ... you destroyed our property and a new bike for our boss who is bout to win the tournament in Greenwood city now we're going to let him rest but the girl is our's to take out our...heheh frustration on." he says trying to move Echo but couldn't as if he was rooted into the ground. The thug was trying with all his might but Echo looked back at the girl ..."Excuse me ms. whats your name." he asked. The girl cowered....[Girl]Autumn... Autumn Heart." she says. leave his position protecting her. [Thug]-"What is this kid.... so fast and strong....BOSSSS!!!" The real fight was about to begin but Echo didn't look worried at all. Boss -"I was trying to save my fists for the tournament but it seems like your giving my guys some trouble"
he was pushed three steps back from the sheer strength of the punch. Echo pushes his fist off. The henchmen look on. "He took one of the bosses punches and didn't go flying... but he's hurt right" - they say. I took three steps forward... but a fighter like you.... man i got lots more training to do"
withstand his punch but he thought maybe he didn't get complete contact on the strike. He charges with his giant fist trying to com down on Echo like a hammer but he narrowly evades. The ground breaks beneath his fist surprising Autumn... The boss tried a right cross but Echo flipped over him. followers. 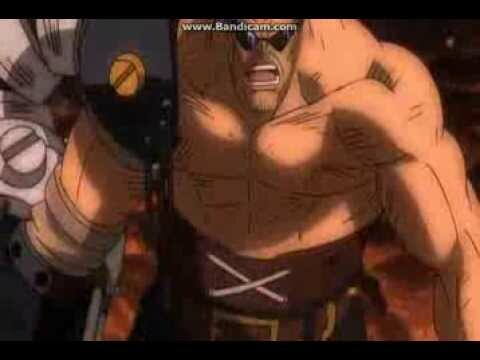 "Ahhhh...THATS IT YOU BRAT...ITS TIME FOR MY MAGNUM FIST" he shouted. The boss cracks his neck smiling and walking towards Autumn... licking his lips as the men laugh. Suddenly Echo begins to move as he gets up and dusts himself off... the men are in shock as Echo doesn't seem hurt. Boss- "hmm what you guys looking at." he says looking back as his jaw drops seeing Echo is back on his feet. Echo says this getting low to the ground with his left arm over his body... right arm back in the same stance that the boss was in. The boss gets in the same stance turning away from Autumn... he digs his feet into the ground and pushes forward rocketing at Echo. up blood. The tree breaks and the boss is knocked unconscious. The men just nod as they pick up their bosses body and run off. Echo watches as all the men leave. Autumn is still in shock and cowering somewhat... as Echo walks over to Autumn's damaged bike. 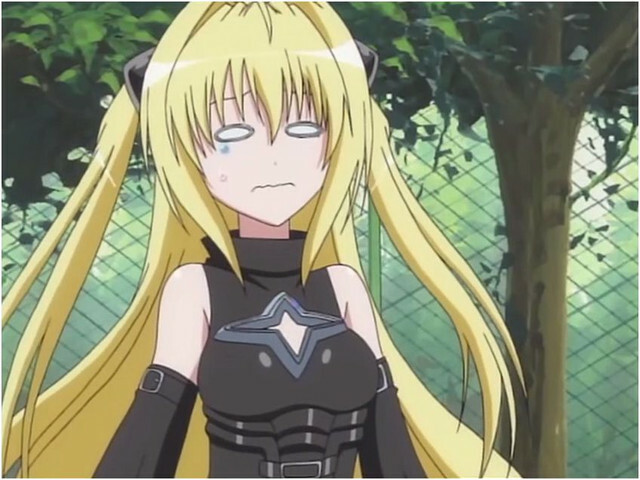 Autumn- "Please... thank you for helping but don't touch the bike it is made of some of the densest metal... so its really heavy and...."
are you a demon or bionic... just go i don't want any trouble." she says. Autumn shakes her head - "My bike is unique... i mean i can use their parts as a temporary boost to get me to town but my bike is worth 34 million zen" she says as Echo drops to the ground knowing he can't pay that amount... "But maybe Greenwood city would have the tools i need to fix it for good" she continued. ease. As he stripped the bikes for parts Autumn was rigging the parts she could use to fix her hover bike for the moment. "And that was when i was 11" he finished but Autumn stopped him before he could continue. it is that your going to do." she says getting on the bike. Echo picked up his backpack and waved for her to lead the way... as he was going to run just like before. its beyond fast you won't be able to keep up..." she says. Echo- "its fine... i'll just do my best." he replied. Autumn takes off and the rocket hover bike burns out even surprising Echo for a moment at the machine's great speed. Autumn looks in shock... "HOW THE HELL ARE YOU ...I JUST..." she began to say but Echo was actually keeping up with the bike while running. Greenwood City was a couple of miles away, Echo was now shirtless running alongside Autumn. Echo- "No i don't enter tournaments honestly Master Cyrus told me not to, its too dangerous. Master Cyrus is a world class fighter a big time fighting tournament would be the best place to ask the fighters if they have seen him or maybe even trained with him." he replied. Autumn- "oh no... i thought i had maybe 2 hours left we should be according to my gps about a hour and a half from the heart of the city... guess we have to walk from here... but how are we going to drag the bike for an hour??" She says questioning herself. This can't be real he's not human he's going faster than the bike.....who am i getting involved with -Autumn she thought. People are running and moving out the way as armored truck with thieves is speeding through the streets... a thief points a gun out the window and shoots at police cars chasing them, causing people to scream. [thief]"YOU AIN'T GETTING US COPPERS" he says laughing. [thief #2]" Yo mark there's something coming our way...what to do?" he asked. [Mark]"Then run it over we're in an armored truck it can't stop us[. "/i] he says. The thieves keep driving and the item in the distance happens to be Echo carrying the bike. The thief see's this but keeps running and Echo was looking for the heart of the city not looking but when he realized the armored truck wasn't stopping he put his right foot up and the thieves rammed him but Echo brought the truck to a halt and the engine was smashed by he foot by accident shocking the people the thieves and cops that arrived. Autumn got off the bike and looked at around to see that not only did they reach but Echo actually stopped thieves with guns. [i]Autumn- "AHHH ECHO LETS GO THOSE ARE BAD MEN....WITH GUNS!!!" she says pulling at him. Growing up with master Cyrus Echo didn't know much about guns or robbers he looked clueless. The thieves opened the door...."YOU FREAK IM GOING TO KILL YOU!!" a thief says pointing the gun at Echo and firing. Echo read the path of the bullets and dodged the bullets...Echo- "Hey that can really hurt someone." he says as he runs at the thief and smashed the gun... the others look at him in fear....and drop their guns. Autumn was on the floor as she fell back in shock...Autumn- "He can dodge bullets, and runs faster than a top of the line hoverbike... this guy is not human." she thinks. The two are walking through the city... some people are following Autumn and Echo waiting with camera's for Echo to do something amazing. He turns to the people and they'd freeze. Koriand was Standing in line at the registration with his hands behind his head lazily. he tilts his head slightly as he hears someone speaking a few feet away "did you hear on the news? some guy stopped a bunch of theifs riding in a truck with his foot, then when they shot him the bullets bounced right off." one of the guys says. "no way, that is physically impossible...right?" the other said. "whatever, I just hope he doesn't show up to the tournament, that would be scary." Kori Smirked at the thought of someone so powerful entering the tournament. "HEY KID! MOVE IT! YOU'RE HOLDING UP THE LINE!" a man said from behind, Kori didn't turn around, but he looked straight up to see a massive giant staring down at him. the man lifted his leg above Kori and stepped infront of him "Fine, if you are just going to stand there, I'm going to..WHA-HOW DID YOU GET THERE!" the man said, as he was stepping over Kori, in the split second he placed his foot down infront of him, Kori ran infront of the man. "You shouldn't cut in line, it isn't vary nice." Koriand said without giving the man a second thought. suddenly he was lifted into the air, the man had lifted Kori by the leg and was holding him upside down to his face. "Listen you runt, I am going to win this tournament, then I am going to buy a giant house with a huge training field and live out my days practicing for the next tournament and living in luxury, but before all that, well, there is no rule against pre-tournament practice fights." the man said with a smile. he slammed Kori to the ground and started laughing "HAHAHAHA EVEN A FULL GROWN MAN WOULD HAVE ALL THEIR RIBS BROKEN AFTER THAT SMASH! GO HOME KID YOU AREN'T..." the man started to say, but stopped when the dust settled to reveal Kori standing without a bruise or cut. "wow, you're strong, much stronger then the Giant Boars I used to chase and catch as practice." Kori said cracking his neck and doing some stretches. "well, I guess it's my turn now." he smiles innocently. he jumps into the air, the giagantic man still flaburgasted, Koris full body is level with the giants head. he starts to spin really fast in the air then sticks out on foot "TORNADO.....KICK!" he screamed as the foot connected with the large mans head, sending him flying away into a nearby wall. "HEY!....oh no, did I go to fast and use to much force? SORRY MISTER!" Kori said, he turns and takes the pen from the guy at the reception table and signs his name on the form. "THANKS FOR THE PRACTICE! I HOPE WE FIGHT AGAIN IN THE TOURNAMENT!" is the last thing he shouts as he runs off into the stadium. Autumn and Echo were walking around the city looking for stores that could provide all the parts she needed to help fix her bike. Autumn- "Well yea you can say its in my blood. But it looks like this store has the supplies i need.. finally i can fix my bike. (She says smiling with happiness in her eyes) ok sir im going to need all these supplies" She says to the cashier. She had bought a lot of supplies that came up to 2,000,000 zeni. Autumn knew the price was high but reached into her purse and froze... her face turned blue as she felt around her purse it was empty her credit chips, lipstick, miscellaneous items all gone. She thought back to what could have happened and Echo's bike crashing into her bike must have knocked all her belongings out of her purse...she turns to Echo with a red face now and sharp teeth. "YOU...YOU RUINED ANY CHANCE I CAN FIX MY BIKE MY PHONE AND MONEY IS GONE ...HOW AM I GOING TO GET THE MONEY TO FIX MY BIKE AND CONTINUE SEARCHING FOR THE DRAGON BALLS." she says as her hair became fist and started hitting Echo but it didn't hurt him at all. He looked at her..."Im sorry Autumn we'll just find another way i promised i'd protect you wouldn't leave you until i paid you back and i keep my word" he says to her as she stopped as she got tired and looked on the floor and the tournament paper fell out of his pocket. She picks it up and began reading it. Autumn jumped up..."Thats it you enter the tournament and will we get the money and fix the bikes and today is the last day for preliminary battle royals for entry" she says. Autumns heart sank...Great a fighting monster who doesn't care about money...come on think Autumn...think... she thought to herself. Finally it hit her...as they were passing the stadium "Hey Echo i know a way you can find out about your Master/Dad Cyrus...(Her words cause Echo to stop)... it says that today is the last day of the preliminaries so maybe a fighter knows about your master already qualified... you don't have to enter the tournament just get in and go through the rounds asking questions." she says. Autumn got a pass as a plus one spectator since Echo signed up. GOOD MORNING PEOPLE THANKYOU FOR COMING OUT HERE TODAY. WE HAVE A GREAT SHOW FOR YOU TODAY. Kori got up from meditation and walked into the ring. everyone was running around trying to find the best starting positions the small weaker fighters where staying near the edge of the ring hoping to face eachother and let the larger competitors duke it out till the end, while the larger competitors took center ring with full confidence. Kori walked right up to the middle and stood between two large men who where ready to fight eachother. Announcer: "LET THE BATTLE BEGIN!" Suddenly the floor was chaos as people began attacking their chosen targets one by one, people where knocked out or tossed out of the ring. as the two men Kori stood between ran at each other, he jumped in the air and kicked out his feet, knocking them both out of the center and confused. Kori then sped through the ring attacking anyone and everyone with speed and percision. it wasn;t until half the competitors where knocked out that any normal human even noticed that something was happening. if you had superhuman sight you could tell that Kori was the blur of white zooming through the battle, punching and kicking before his enemies had a chance to block. it came down to two competitors. Kori ran up and spin kicked the first guy, sending him flying out of the ring, then he turned just in time as the other guy sent a fist right at Kori. "you are fast, most people who where fighting don't even know how they lost." the man said. Kori ran behind him and jumped to kick, but the man rolled out of the way just in time. "I have been studying your movements. I might not be as fast as you, but as my master has taught me, there is always a counter. the counter to strength is speed, as you have demonstrated. and now let me show you the counter to speed." the man closed his eyes and got into a defensive stance. Kori began attacking with a high speed barrage of punches and kicks, but the man dodged them all. "prediction." the man said, continuing to dodge. "I might not move as fast as you, but if I can predict your movements before you make them, I can dodge before you can move." the man reached out his hand and grabbed Kori by the neck and began chocking him. "you are fast, but that is all." he smirked. Kori grabbed the mans arm and with forced words said "G-Got you." with a grin. he put his feet to the mans stomach and kicked back with all his might, the man was pushed out of the ring to the wall, the sudden force had caused him to release his grip on Kori. "Thinks for the tip. I didn't think I would have to use my strength this early in the tournament" Kori said as the ref walked up to him "BLOCK E WINNER, KORI...(whispered)what is your last name?" "I don't have one. 'Kori said as his hand was thrust into the air to the sound of applause. Echo smiled as he watched the other fights and was amazed, he had a strong desire to fight himself but finding out about master Cyrus was more important to him. The competitors began fighting many of the weaker fighters being knocked out early, Echo had figured out that weaker competitors would likely not know his Master as he was an elite fighter so Echo was calmly walking around the ring trying to talk to fighters. "Whats with this guy... he just keeps talking....he's not even fighting... HE MUST BE WEAK....YEA KICK HIM OUT" some crowd members begin to say...."BOOOO!!!" Autumn yells back at the crowd..."Hey he's a good fighter.. stop booing"
Echo looks at the announcer and sighs..."But i promised master cyrus... i guess the winners may know something about master Cyrus...forgive me." he says getting in fighting stance. Some fighters charge at Echo but he stands his ground and grabs the hands of the ones who try to attack him and tosses one out. Some fighters attack and Echo counters every strike knocking out the most fighters. Some of the remaining fighters notice this and look at the others and they decide to all go against Echo who seems to be the strongest fighter. They all jump at him and he defends what he can but is kicked in the stomach by a very strong competitor causing him to slide to the edge of the ring. Echo relaxes his body for a moment... as all the other competitors charge at echo once again... and in a breeze all the fighters are propelled out the ring... in pain as everyone is shocked. WHOOAAA THAT WAS AMAZING...THE WINNER OF THE BLOCK F PRELIMS IS ECHO!!!! NOW WE CAN REVEAL THE SECRET PRIZE TO THE WINNER...IT IS SAID TO BE MAGIC BUT ITS THE 4 STAR DRAAAGON BALL... WHICH CAN ONLY BE AWARDED TO THE STRONGEST FIGHTER. Echo looked around at the other remaining fighters... wondering if any of them would know about master Cyrus. He walked up to every fighter ...and said these words. "Hi have you ever come across a martial artist named Cyrus"... he asked every one of them while describing Cyrus but each stayed silent and stoic... except for the kid Kori who just smiled and waved his head saying no. The next day the tournament would start. Echo went to his room for contestants to spend the night the gym was open to them all for training. Echo left the room immediately it wasn't his style to be lavished. Autumn was trying to get into the hotel but with the press and martial arts fans there it was impossible. Luckily she saw Echo leave through the back... she slinked back and ran after him. When she reached she grabbed him with her hair..."WHERE ARE YOU GOING.... YOU HAVE A DRAGONBALL TO WIN." she says. Echo smiles "Really you'd do that for me... the sooner i pay you back the sooner i can get back to finding my dad... you got a deal but i don't know why you want this dragonball though." he says happily. Echo looks at her.... "Yea im going to sit by the tree's and eat" he says as he goes and walks by the lake that is not too far he sits by a tree and begins eating his sandwiches which were given to fighters in their rooms. Autumn looked confused as to how could someone like Echo be so strong but wasn't taking a tournament like this seriously. Autumn decided to take Echo's fighter ticket... if he wasn't going to use his room she might as well have. "Well i'll be at your hotel room... i'll see you at the tournament." she says... Echo smiles and waves. Autumn uses the pass to get in the hotel workers are far too busy to pay attention but she smiles and goes to the room. "WOW... im going to enjoy this tournament and when Echo wins i'll have a dragonball to scan ... and i'll be able to find the rest this may turn out to be a great week after all." she says laying in the bed until she fell asleep. Echo had woke up early to do some early morning training before his match, with his stomach full from the night before he wanted to put his energy to good use. She was enjoying her soak till she heard a knock at the door, she didn’t like being disturbed but since she was using Echo’s room it could have been important maybe tournament related. She put on a white robe and went to the door…. The voice had said and walked off, so Autumn rushed and hurried up and got dressed and got her clothes on, to go get Echo and bring him to the arena. She was a little nervous hoping that he’d still be where she left him by the river. Autumn ran in the direction of the riverbank… it wasn’t too far from the arena but she still was in a hurry. She felt she was too slow because it would take her at least 40 minutes running to reach… but she saw a pink bike laying with no rider most likely belonged to a kid…. she felt really bad but grabbed the bike and began pedaling. She had screamed out while going downhill. the bike helped as she made it to the river bank in 15 minutes plus the 10 minutes she wasted running there so she was out of breath. She looked in the tree and didn’t see Echo …. She looked around screaming his name until soon out of the river came Echo jumping up high in the air and out the river. He landed near Autumn although he was naked, which caused her to turn away and blush. ”Sorry was just doing some training in the river going against the pressure of water is great training...what’s up?” he asked. (Autumn)”Nothing just focus on getting your clothes on you have to be at the arena in now 25 minutes or your disqualified…” she says not looking. Echo put his clohes on….”Really oh yea i almost forgot the tournament… im so sorry Autumn… im going to run there now….want me to carry you?” he asked. ”No no… its ok your match didn’t start yet i’ll see you there ok….just go.” she says still unable to look at him. With his clothes on Echo was gone in a flash. While Autumn had to back-track her way to give the child his bike back… Echo had made it to the arena. There were some fans who were anxious and already got their seats, as some fighters were late they had decided that Echo’s fight would be first. Echo looked around and saw his opponent looking at him, the man was covered from head to toe only his eyes visible but was in a ninja outfit…. Echo walked up to him…. ”Im Echo your opponent it must be cool being a ninja anyway lets have fun you look strong hopefully we have a great match.” he said. [Hokaido]”Listen boy on the honor of the Asura ninja clan i will make you defeat as quick as possible as I have already seen through your technique….as it was not by chance all those opponents flew out the ring… the normal eye may have missed it but not the eye’s of ninja master HOKAIDO!! !” he said at the end which confused Echo. The crowd cheered and roared as they had been waiting for so long. Autumn finally managed to get within at least 20 minutes of the arena as it took her a while to track down the kid and return the bike but she kept her word. Echo came out to the roaring crowd looking down at his feet he wasn’t use to fighting one on one in front of so many people. Hokaido appeared in a puff of smoke which made the crowd go wild…. Echo decided to make the first move as he charged in with a barrage of punches at the same speed that he had used to knock all of those competitors out in his preliminaries. His hand were moving at great speed but the ninja had evaded all of the strikes and even deflected some with an open palm which surprised Echo… who jumped back. ”Wow mister you really can see my fists you weren’t kidding this really should be fun.” he said to Hokaido. The ninja began flipping around and striking Echo from all different angels … although Echo was able to follow the gymnastics display and block the strikes it was hard to get a beat on the ninja master. Hokaido backflipped and came down with a kick but Echo blocked with his forearm when he tried to counter Hokaido had used Echo’s own body as an object to distance them. The crowd was getting restless as no one was hitting no one….. The ninja looks at Echo and charges in with his unique way of flipping around and comed down with a kick and this time it hit Echo in the head causing him to face plant into the arena floor but as he hit the ground his left leg had kicked the ninja in the stomach… it was not full force but strong enough to send him into the ground as well but Hokaido recovered very fast as he didn’t want to show weakness. He was clenching his mid section… [Hokaido]”I was right to be wary of his power, clever he knew making contact with my attack would leave a small window of opportunity...well done but i’ll have to use my special cutting fist. Echo gets back up a bruise is on his forehead but he doesn’t feel it. Hokaido gets in a weird stance almost cat-like…. [i]”I told you i’d make your defeat quick..now you’ll see the terror of my cutting fist” he says. Echo cracks his neck….”REALLY...great i get to experience a real ninja technique first hand awesome.” he replied getting in fighting stance again. The two charged at one another… and when the gap was closing Echo threw a punch but he was countered as the last seconds he slowed down and was hit with a right cross punch cutting his cheek. 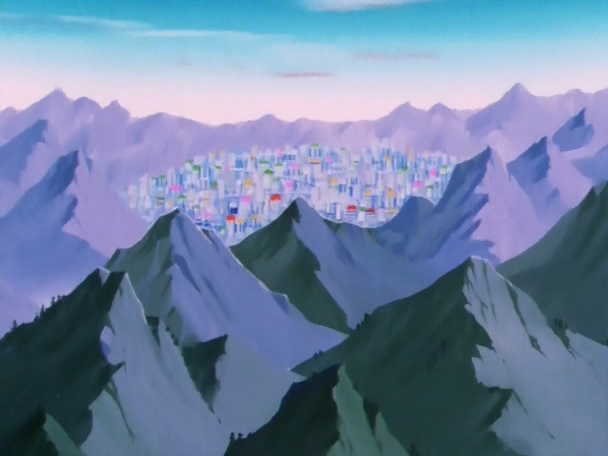 as Hokaido was untouched on the other side. Even though Echo didn’t fall from the strike he was surprised to be bleeding. He turned around…”What ...how’d he do that” …. he thought as the crowd went crazy. Hokaido comes down with both legs straight down like a dagger colliding with Echo’s mid secton as his body erupts in cuts and his eyes widen. ”People ….I ...AM… STUNNED.. NEVER HAVE I SEEN A MORE DEADLY MOVE… THE NINJA MASTER HOKAIDO CAME DOWN ON ECHO AND HIS BODY ERUPTED IN CUTS...THE PAIN THIS BOY MUST BE FEELING...I HOPE HE WAKES UP SOMEDAY BUT IT DOESN’T SEEM LIKE ITS GOING TO BE TODAY...IM GOING TO START THE COUNT BUT THE LOOK ON HOKAIDO IS THAT THIS MATCH IS WON….1….2….3….4…. [Autumn]”ECHO DON’T GET UP….PLEASE.” she thinks as she didn’t mean to put him through this. Hokaido grinned…”Ahh you seen through one technique...but how about this one boy” he says as he disappears in a puff of smoke… but Echo throws a punch into his blindspot while standing still… and Hokaido is there frozen and suddenly flies back but Echo follows the shock is seen on his face as his face protector is broken… but he catches Echo’s fist…before it hits his face [Hokaido]”I can follow your movements you caught me off guard but that won’t happen again” he says but Echo’s fist disappears……. and a punch is driven into hokaido’s stomach as he coughs up blood and even cracks a panel of the arena floor…. Echo looked at him and started shadow boxing…. one fist became 2 than 5...Hokaido couldn’t believe it… he couldn’t tell which was real and which wasn’t. Hokaido thought as he pulled out two hidden needles… and goes to stab Echo but his hands go through him ...as he is again surprised. Echo comes with a powerful right cross … sending Hokaido out the ring .. and to the opposite wall… his eyes are white. "NEXT WE HAVE THE KID WITH ALL THE MOVES, FASTER THEN BELIEF, KORI! VS THE KARATE MASTER, HE KNOCKED ALL HIS OPPONENTS OUT IN THE PRELIMS WITH JUST ONE PUNCH EACH, THE POWERHOUSE! BRIAN HAWK!" Kori ran out onto the field with excitement as his name was called. he raised his fist in the air to the sound of the roaring applause. Brian hawk walked onto the ring with his arms crossed, he stood at his starting position and waited for the battle to begin. to the untrained eye it would have appeared that the two contestents simoltaniously vanished and reappeared in the center, both parties kicking and punching, while dodging the others attacks. "AMAZING! BRIAN HAWK ALMOST WON WITH A RING OUT IN THE FIRST FEW SECONDS OF THE MATCH, BUT BECAUSE KORI DIDN'T TOUCH THE GROUND OUTSIDE THE RING HE IS STILL TECHNICALLY IN, THIS IS CHURNING OUT TO BE A HEATED BATTLE." before Kori could react his opponent was directly infront of him, he pushed out with his palm but didn't make contact, Kori was suddenly pushed backwords with extreme force, he bearly kept himself from teetering over the ring. "incredible, he didn't even touch me, he pushed his palm with such might that the air around it forced me backwards." Kori thought. he grinned as he ran at his opponent, who prepared to use his force palm again, he held his palm in alignment with Koris body until kori was inches from him, suddenly without warning Kori dove underneath Brian Hawk, who instinctivly pushed his palm downwards towards his enemy. Kori was out of the way seconds before the attack hit, the force caused a huge palm shape to appear under Brian Hawk, as well as sending him flying. Kori jumped into the air after his opponent and started kicking and punching him. Kori had practiced mid-air combat, something most martial arts schools forget about, since you are so rarely battling in mid-air. in a last minute effort, Brian grabbed Kori and spun him towards the ground, kori was forced into the ring, while Brian used Koris body to cushion his fall. Brian got up, exhausted and bleeding, while Kori remained in the creator he had created. "Beginning the count down! 1...2...3...4..." the anouncer started. "5...6... wha- Kori is getting up. this kid does not give up easily!" Kori slowely got out of the hole, he stood holding the arm he had fell on, it was obvious that it had been fractured. Brian Hawk smiled "fine, you want to die, I guess i'll oblige." Brian said, slowly walking over to Kori, who stood there bearly conscious. Brian lifted his arm into the air, his palm facing Kori. "I can prepare this one since you can bearly move, meaning it will be more powerful then the ones you have faced so far." Brian said. he was now inches from Kori, he pushed his palm forward, and as he did so, Kori pushed his palm forward, colliding with Brians. there was a blast wave of air, which forced both opponents backwords. Kori landed on his back, mere inches from the edge of the ring, while Brian landed inside the wall on the opposite side. "I...used my own force...as a...shield so your attack...would hit..you." Kori said with a smile, as he fell into unconsciousness. "WHAT AN EXCITING DAY! KORI HAS ONE IN AN UPSETTING LAST SECOND TURN AROUND! BUT CAN THIS BOY WONDER HOLD OUT UNTIL THE FINALS! LETS JUST HOPE HE CAN RECOVER BEFORE HIS NEXT MATCH TOMORROW!" Echo-"Hey Kid good match that means your my next opponent hope you heal up and we have a good fight." Kori smiled and responded "Of course i saw your fight to and your pretty strong i can't wait till our match." and i get a bad feeling from that Chris Sponder person." Kori got a serious face "Yea i can recognize the strength in others but i this guy give me the creeps." its much different from Master Cyrus... i can't figure it out." Kori- "Well the winner of our fight might have to face him... do you know how to beat that technique?"